A spokesman for Merton Council told me: “We named this spur road as part of the Wimbledon town centre improvements, in time for the Olympic Games in July 2012. We did contact the editor and relatives of the writer Elisabeth Beresford and sought permission initially to name this Womble Way. “They were thrilled that Merton Council would consider honouring the Wombles by naming a road after them. But on this occasion, as the spur road in question is not the Wombles’ preferred habitat, they felt that they had to guard the integrity of the Wombles and all they stand for. So a ‘domestic’ street where there are trees, gardens, shrubs, children playing etc would be their ideal, rather than a cars-only road. A spur road is a short road forming a branch from a longer, more important road. Orinoco Lane leads from Alexandra Road (next to the DVLA office at Connect House) to Wimbledon Station Service Road, right next to the railway station. 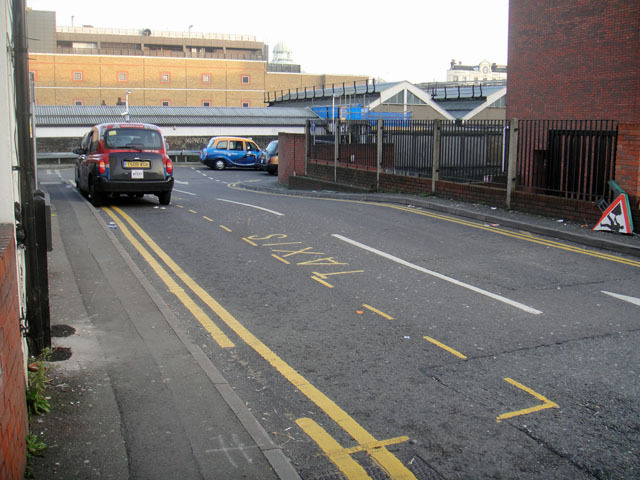 The previously unnamed road is about 30 metres long and consists mainly of a taxi rank (pictured below), which was added last year as part of the improvements to the station area. In January 2011, the Wimbledon Guardian reported that Merton Council was considering naming one of the next roads built in the borough after Elisabeth Beresford, who had died the previous month. 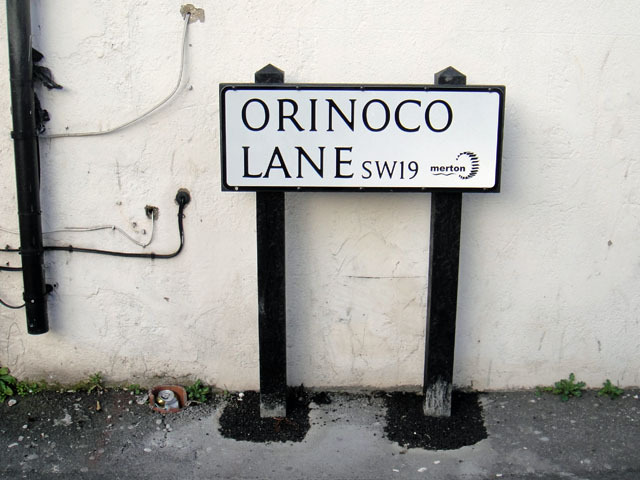 I go past here every day and always wondered about who and why the council had chosen to name this Orinoco. I think they should fund a statue of the Wombles, perhaps up on the Common? Or at least at the station, like the Paddington Bear at, er, Paddington station. 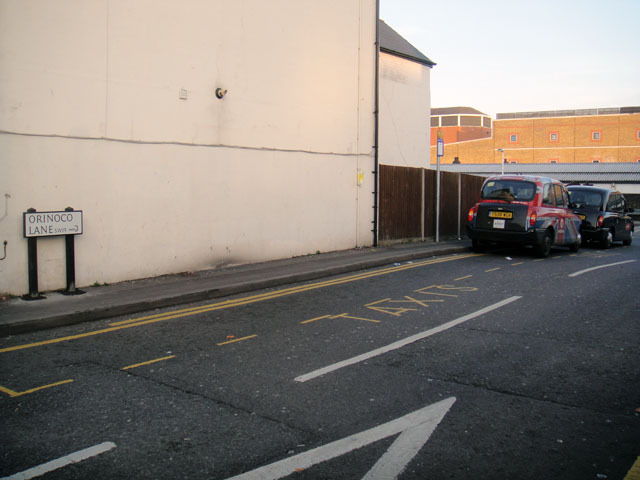 Also, the gable end of the house which borders Orinoco Lane would make a great spot for a giant mural of the wombles.